Ford is displaying the Ford Mustang at the NADA Auto Show 2017. Here are the pony car's images from the Nepali motor show. The Ford Mustang is currently in its sixth generation. The first-ever Mustang to have a right-hand drive version for series production was given a facelift in January 2017. However, Ford is showcasing the pre-facelift model in Nepal, in the coupe version. This model is on sale in India, where the launch took place in mid-2016. The Ford Mustang is 4,784 mm long, 2,080 mm (with mirrors) in width and 1,391 mm in height, and has a 2,720 mm wheelbase. Ford Nepal has sourced the display vehicle from India. This means that it has the de-tuned 5.0-litre Ti-VCT V8 petrol engine that develops 295 kW (395.44 hp) and 515 Nm of torque. In the Euro-spec version, this naturally aspirated mill puts out 416 PS (410.14 hp) and 530 Nm of torque. 6-speed manual and 6-speed automatic are the transmission choices for the Ford Mustang GT. A rear-wheel drive drivetrain layout is standard. With the manual transmission, the Mustang GT takes just 4.8 seconds to complete a 0-62 mph (0-100 km/h) sprint and has a claimed top speed of 155 mph (250 km/h). 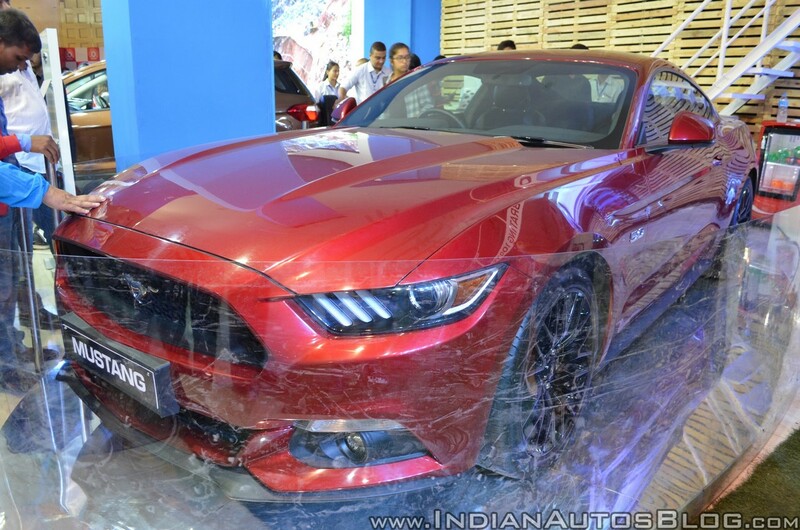 Ford has not made an announcement on the launch of the Mustang in Nepal yet.